Elegant and Beautiful. The new Porsche 911 Targa! Porsche is bringing back a classic 911 body style — the open-topped Targa — in the image of the original, with a metal-plated roll bar perched just behind the driver. The Targa debuted Monday at the North American International Auto Show in Detroit, with styling harking back to the original Targa, a fully removable roof segment and a wrap-around rear window. More recent Targas have looked much more modern, with a sliding glass roof, and more like the hardtop version of the car. Porsche unveiled the first Targa in 1965 at the Frankfurt International Motor Show, calling it the world’s first-ever “safety Cabriolet,” a compromise between a soft-top convertible and a fixed-roof car. The name Targa comes from the Targa Florio race series in Sicily, but has since become synomous with a removable hardtop. The first production Targa appeared as a 1967 model. It continued in every model year afterward until 1993. The Targa was reworked as a sliding glass roof in 1996, and has since been an on-and-off affair. The 2014 911 Targa looks like an old Targa mated with the much larger, sleeker (and faster) 911 of today. 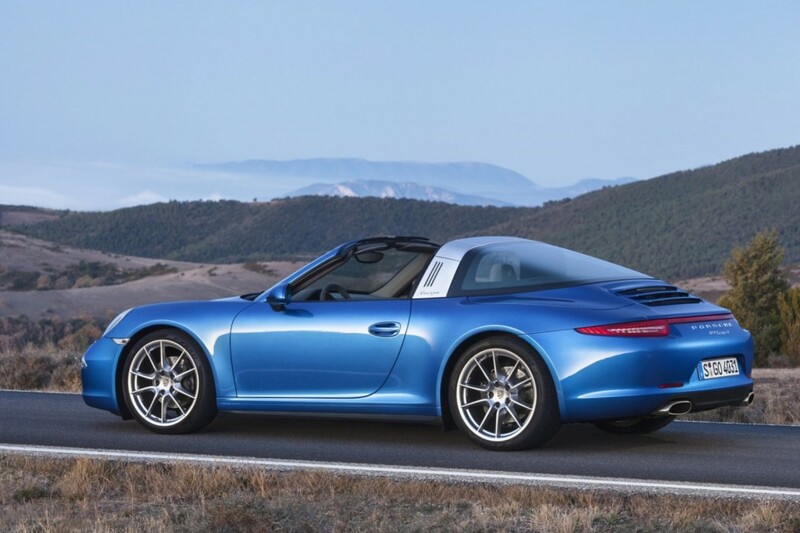 The Targa will be offered only in the four-wheel-drive Carrera 4 and Carrera 4S models. 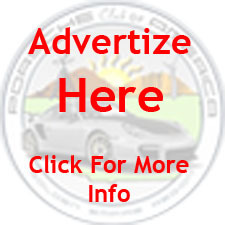 Standard four-wheel-drive has less to do with marketing to bad-weather regions and more with overall performance, said Porsche spokesman Nick Twork. Porsche is betting the Targa buyer will want the extra grip in high-speed cornering regardless of road conditions. The Targa 4, with 350 horsepower from its 3.4-liter boxer six-cylinder, runs zero to 60 mph in 4.7 seconds, according to Porsche. The 4S, with 3.8 liters and 400 horsepower, takes just 4.2 seconds. The system also adds substantially to the price — something else Porsche is famous for. The Targa 4 starts at $102,595; the 4S starts at $117,195. « Golden Empire wins the region of the year! Congrats!